Many frameworks propose that wealth is either measured in how much you have or in how much you enjoy the journey. Wealth is seen as an end or as a means. It is about having or it is about being. So it seems that you can either focus on accumulating for the future or you can focus on enjoying the day-to-day flow, but not both. However, our research suggests that the people reporting the most sustained experience of high levels of vibrancy are also wealthy in both aspects; in both the ends and the means, in the outcomes and in the experience, and in both the destination and the journey. If it is true that we pay attention to what we measure, then to achieve wealth in both having and being, we need to be able to measure wealth in both the outcomes and the experience. Over the past five years, in our research at the Institute for Strategic Clarity with people experiencing off-the-charts wealth, we have developed metrics measuring both the experience we have along the way and the value of what we accumulate by the time we reach the destination. Wealth through experience. We measure the wealth of your experience through the Harmonic Vibrancy survey, which you can take for free online. Taken by over 2,400 people from 92 countries, the 12-minute survey assesses the wealth of your experience through the vibrancy you experience overall in the five relationships: in your relationship to your own self, to other individuals, to the group, to the creative process, and to the source of creativity. 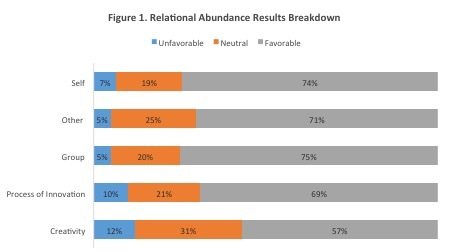 Greater vibrancy in all five relationships correlates directly to greater perceived wealth in one’s experience. To increase the wealth of your experience, our metric will show you which primary relationships to improve. Wealth through accumulated outcomes. We measure the wealth of what you have accumulated along the way through the value of the resources you have when you arrive at the destination. While the money in your bank account and the value of your investment portfolio certainly count towards your accumulated wealth, our research has also catalogued many other assets that the off-the-charts successful have accumulated of equal or even greater value. 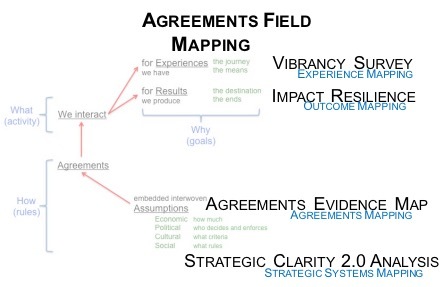 We use the Agreements Evidence Map to assess the amount of value you have in resources accumulated in your own capacities, in those of others and the group, of capital, of inventories of goods, of what you are learning, of relationships you are developing, and of the potential you see and experience in yourself and in others. 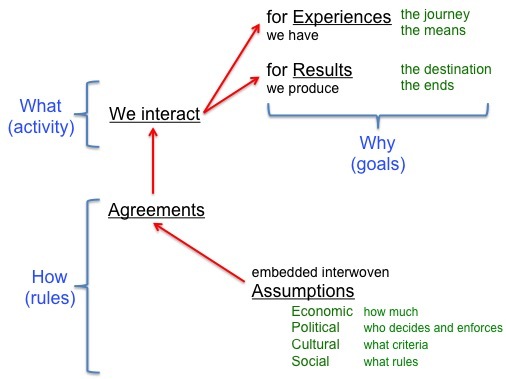 We find that the value we identify through the Agreements Evidence Map correlates highly with perceived accumulated wealth – more so than just the amount of money in one’s bank account and investments. Finally, we find that your wealth through experience correlates highly with your wealth through accumulated outcomes. The data shows that higher vibrancy experienced correlates significantly with higher perceived wealth value accumulated. So from what we see with very successful people, it is not about either having a great experience or about accumulating wealth, rather it is about both. Both about having a highly vibrant experience and the value of the fullness of what is accumulated. Now that we have the metrics for assessing your full experience and your full value accumulated, you can begin using them to assess your own wealth. In search of a great statistician who is very intrigued with our work in Ecosynomics and harmonic vibrancy. Specifically, we want someone expert in (1) the statistical analysis of survey data and (2) correlational research design. If you know of someone, or you are that person, who would love to contribute to our work of bringing greater understanding of high vibrancy groups to the world, through rigorous statistical analysis, please let me know [info (at) ecosynomics (dot) com]. Location does not matter. 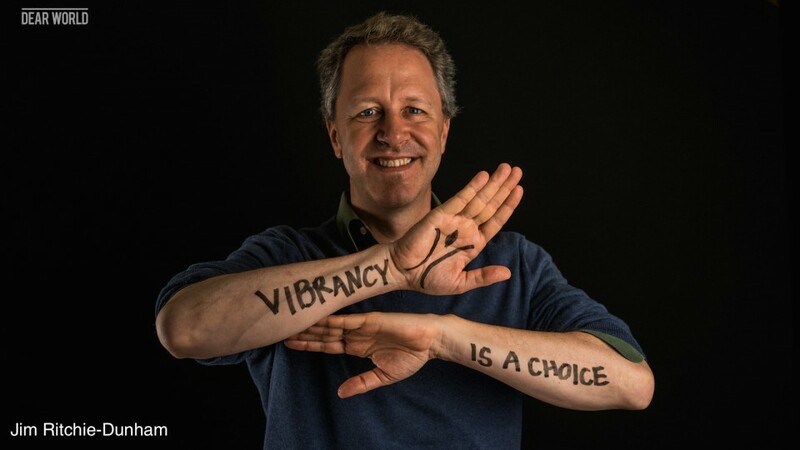 ISC President Jim Ritchie-Dunham was interviewed on the radio today (March 14, 2011) about the harmonic vibrancy survey research by John Schmidt, of the Global Transforming Ensemble. You can download the 57-minute interview from John’s Internet-radio talk show ZOOM’D Leadership at (http://www.voiceamerica.com/episode/52588/harmonic-vibrancy). I met Jim Ritchie-Dunham and learned about Harmonic Vibrancy research when a highly regarded colleague, Terri O’Fallon, asked me to participate in a study. Terri is one of those people who is always involved in something interesting so I responded. Additionally, the request came as part of a research study Jim was doing on vibrancy and I personally love to participate in leading research to contribute to and learn about the latest thinking in organizational effectiveness. I took an individual assessment with Metcalf & Associates as the company I was evaluating. I found the assessment and results interesting, and because of our scores I had the opportunity to be interviewed by Jim, the lead researcher. After our conversation, I was committed to learning more—and support his research— as it seemed as if he was making a unique and important contribution to the field of organizational effectiveness and organizational leadership. My next step was to require that my graduate students take the assessment for multiple organizations to both build the database and to help them begin to get a feel for which organizations are most effective and which are least. We also tried an experiment in which students evaluated the class environment at the end of the semester (after grades were finalized). My personal research question was: Could we create a vibrant organization in an MBA class in the relatively limited length of a semester? Interestingly, the answer was yes. While we needed to refine a few of the questions, overall, we could all participate in a process to build a vibrant organization in a short period of time. I love the idea that the class could not learn only the theory; they could also have the actual experience of being in a vibrant organization during the class. Then the question was what they could do to create this for themselves. We asked some students with particularly high scores to participate in the research. My next challenge was to see if I had created a vibrant organization within my own company. I certainly thought it was vibrant—but what did others think? Again, we were a company that did not perfectly fit the profile, but I decided to test us before going out to our clients. I have committed us to being a learning lab, a company that tests new ideas on ourselves, and proves them valid and useful before going to our clients. As the owner of the company this was intriguing because while the feedback was about the company it was also very personal—it was about the company I had created and about me as a leader. So, the moment of truth; I selected my key team members and invited them to complete the survey. Like those in most organizations, some people responded immediately and others required several reminders. The end result was seven responses from our core team. Our scores were high in six of the seven categories. In the seventh, “process of innovation” we scored a four on a scale of one to five. This would not seem terrible except that our company tag line is Inspiring Leadership Innovation. What were we doing wrong? What was I doing wrong? I thought we were very innovative. We had published a very well-received book about innovative leadership that won an International Book Award in 2012 for Best Business Reference Book and we were in the process of writing several workbooks that also won multiple awards. How could we possibly be lacking innovation? 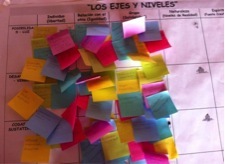 What I learned was that we balanced innovation with meeting client goals. We are both innovative and focused on client results. As a company with limited resources, we were balancing the very real limitations of our resources including the time we had to commit to innovating versus the time we had to deliver impeccable results every day to our clients. This helped me see that we were on the right track—and while I will still strive for a higher score, I understand our results and envision our opportunities to grow. One of the best outcomes of this assessment was the very candid conversation I had with this group. I learned that I held some assumptions about how we were working that were not true; specifically, I assumed people did not want to get together regularly because of their busy schedules. I learned that they did want to spend more time together as a group (which we have now done). Some of our gatherings are social in nature and allow for people to informally incubate ideas that will move us forward. Additionally, the team is deepening their relationships with one another. I have appreciated the insight from this assessment. We have implemented changes and in other areas it validated that we are on the right track. Each participant had the opportunity to express an individual perspective as well as hear perspectives from others, building our shared sense of what we want from our organization. Round two of the assessment is in the plan for 2014. 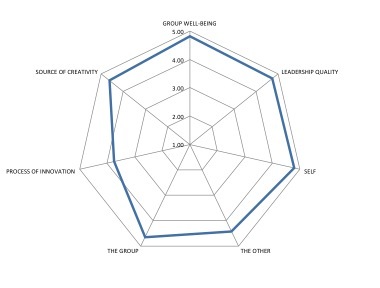 For now, we are using this assessment with our clients and getting great results. In an upcoming blog, I’ll share the results working with a client. Maureen Metcalf, the CEO of Metcalf & Associates, is author of Innovative Leadership Fieldbook, an award-winner in the 2012 International Book Awards for Business: Reference Book. Partnering with the Institute for Strategic Clarity, she brings the work of organizational vibrancy to groups in Ohio.